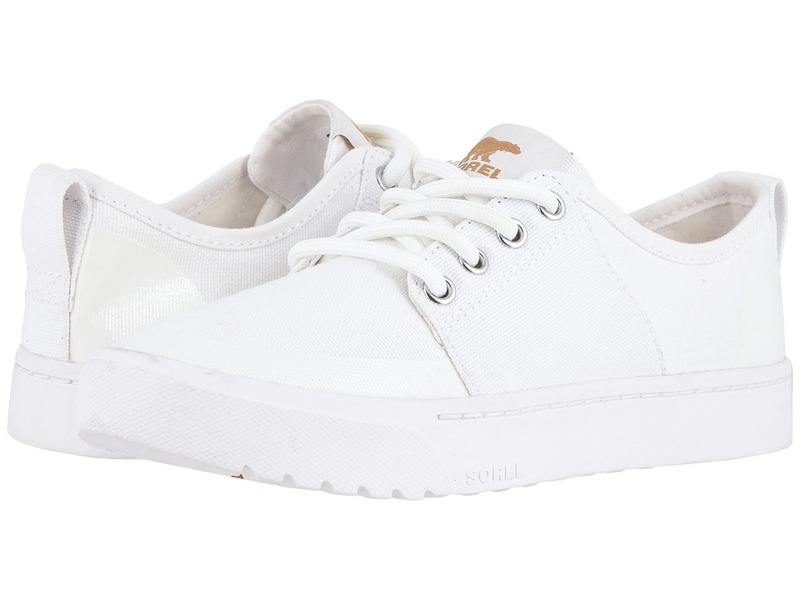 Update your everyday look with the sleek, effortless style of the SOREL Campsneak Lace sneaker. Canvas and synthetic upper. Traditional lace-up system with sturdy metal eyelets for a secure fit. Back pull loop. Canvas lining for added breathability. Removable die-cut memory foam EVA footbed with pigskin top cover for both support and comfort. Molded rubber midsole. Molded rubber outsole with tread pattern for added traction. Imported. Measurements: Weight: 8 oz Product measurements were taken using size 7, width B - Medium. Please note that measurements may vary by size. Weight of footwear is based on a single item, not a pair. 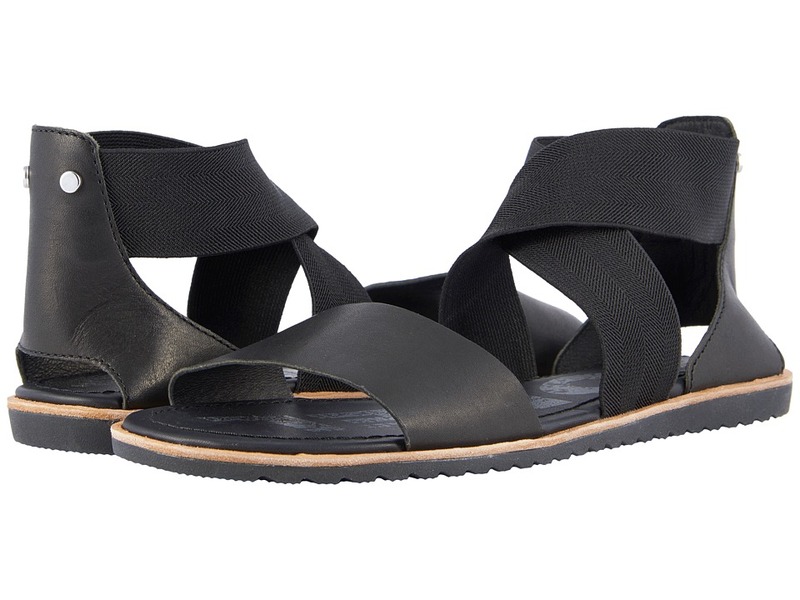 Be set for the summer with the sporty yet sophisticated style of the SOREL Ella Sandal. Full grain leather upper with gore stretch straps. Easy slip-on style. Lightly cushioned PU-like EVA footbed with leather topcover for added comfort. Rubber midsole provides added comfort. Molded rubber outsole with leather welt. Imported. Measurements: Weight: 7 oz Product measurements were taken using size 7, width B - Medium. Please note that measurements may vary by size. Weight of footwear is based on a single item, not a pair. 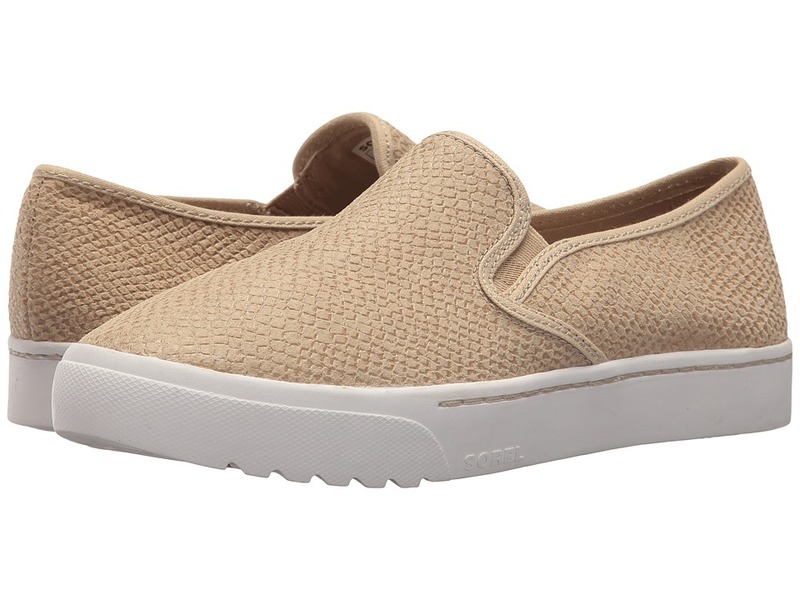 The SOREL Campsneak Slip-On offers a sleek, effortless style that is ideal for everyday wear. Waterproof suede upper. Slip-on design with side gore stretch. Canvas lining for added breathability. Removable die-cut memory foam EVA footbed with pigskin top cover for both support and comfort. Molded rubber midsole. Molded rubber outsole with tread pattern for added traction. Imported. Measurements: Weight: 11 oz Product measurements were taken using size 7, width B - Medium. Please note that measurements may vary by size. Weight of footwear is based on a single item, not a pair. 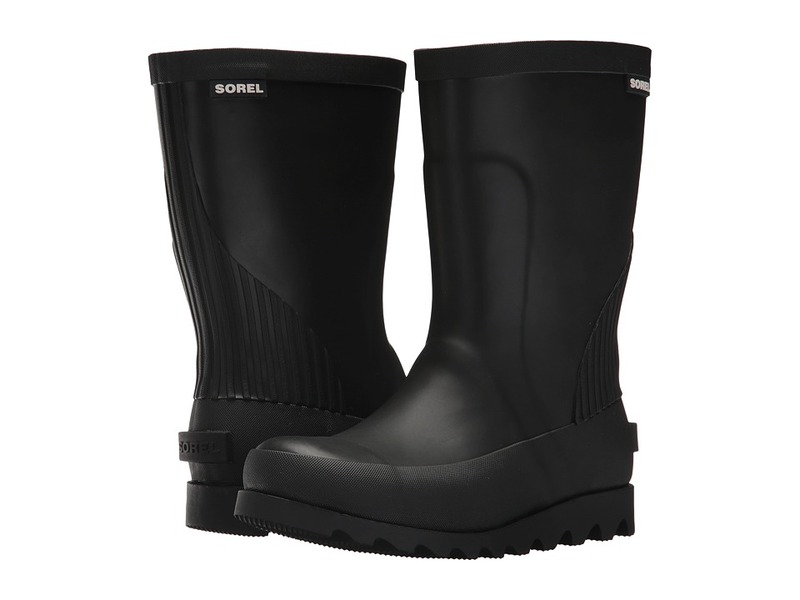 An endlessly wearable boot they~ll enjoy all season, the SOREL Kids Rain Boot is a playful take on a rainy-weather classic! Waterproof vulcanized rubber upper. Easy pull-on style. Synthetic lining. Removable die cut EVA footbed with a textile topcover. Injected rubber midsole and outsole. Imported. Measurements: Weight: 15 oz Circumference: 12 3 4 in Shaft: 8 1 4 in Product measurements were taken using size 2 Little Kid, width M. Please note that measurements may vary by size. Weight of footwear is based on a single item, not a pair. The Sorel Kids Cheyanne Short boots will have you feeling good and looking sharp on those cold, gloomy days. Waterproof canvas upper. Traditional lace-up system for a secure fit. Seam-sealed waterproof construction keeps out the wet elements. Textile lining provides both added warmth and breathability. Removable die-cut EVA footbed with a comfortable microfleece topcover for added cushioning. Handcrafted waterproof vulcanized rubber shell with herringbone outsole. Imported. Measurements: Weight: 14 oz Shaft: 6 1 4 in Product measurements were taken using size 2 Little Kid, width M. Please note that measurements may vary by size. Weight of footwear is based on a single item, not a pair. 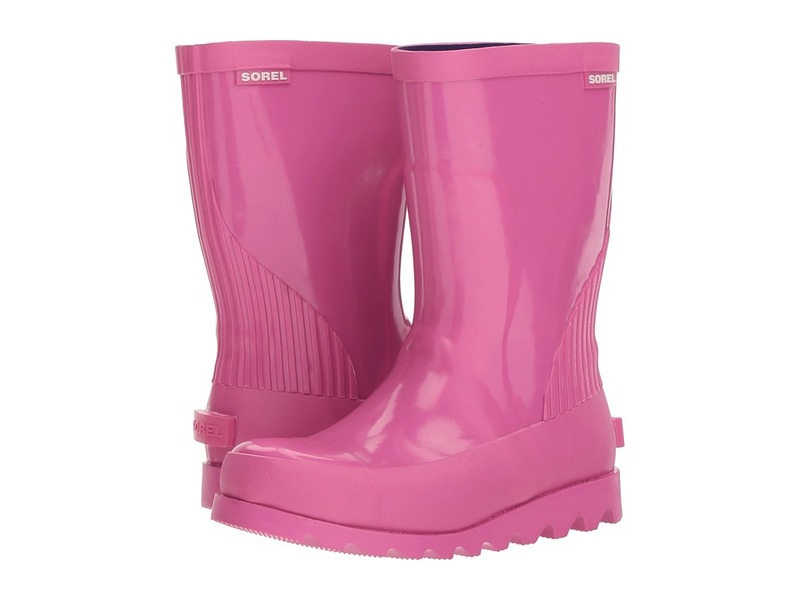 An endlessly wearable boot they~ll enjoy all season, the SOREL Kids Rain Boot Gloss is a playful take on a rainy-weather classic! Waterproof vulcanized rubber upper with gloss finish. Synthetic lining. Removable die cut EVA footbed with a textile topcover. Injected rubber midsole and outsole. Imported. Measurements: Heel Height: 1 in Weight: 1 lb Circumference: 12 1 2 in Shaft: 8 1 4 in Product measurements were taken using size 2 Little Kid, width M. Please note that measurements may vary by size. Weight of footwear is based on a single item, not a pair. 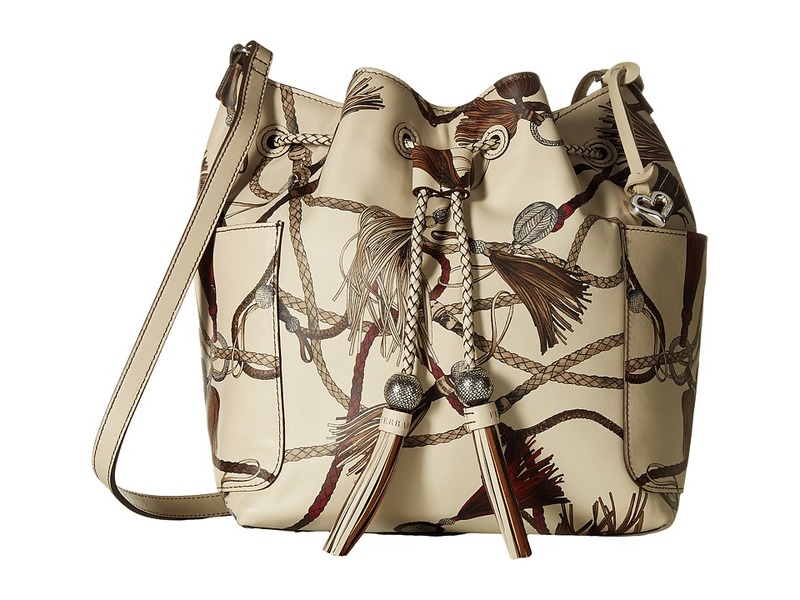 This equestrian-inspired design by Carmen Radulescu for the Brighton Ferrera Novella Collection casual sophistication. Made of printed leather. Crossbody strap. Drawstring closure. Classic Brighton hardware. Dual side pockets. Interior features one zip and two slip pocket. Imported. Measurements: Bottom Width: 11 1 2 in Depth: 5 1 2 in Height: 10 3 4 in Strap Length: 53 1 2 in Strap Drop: 25 1 2 in Weight: 1 lb 7.2 oz Please note, the hardware color and interior lining may differ from the color shown in the photo. 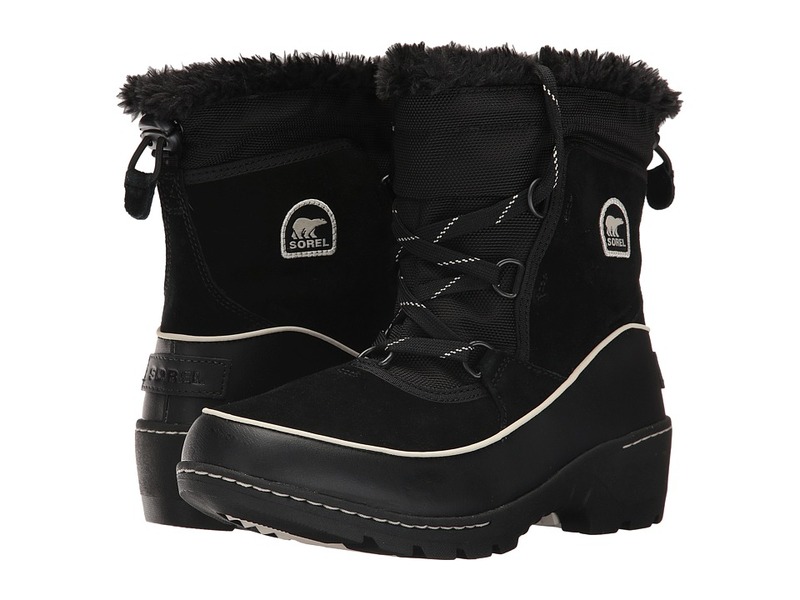 The Sorel Kids Whitney Mid boots keep her comfortable while walking to and from school on those cold wintery days! Waterproof nylon upper with PU-coated synthetic overlays. Pull-on winter boot. Waterproof breathable membrane keeps out the wet elements. Fleece lining provides both added warmth and breathability. 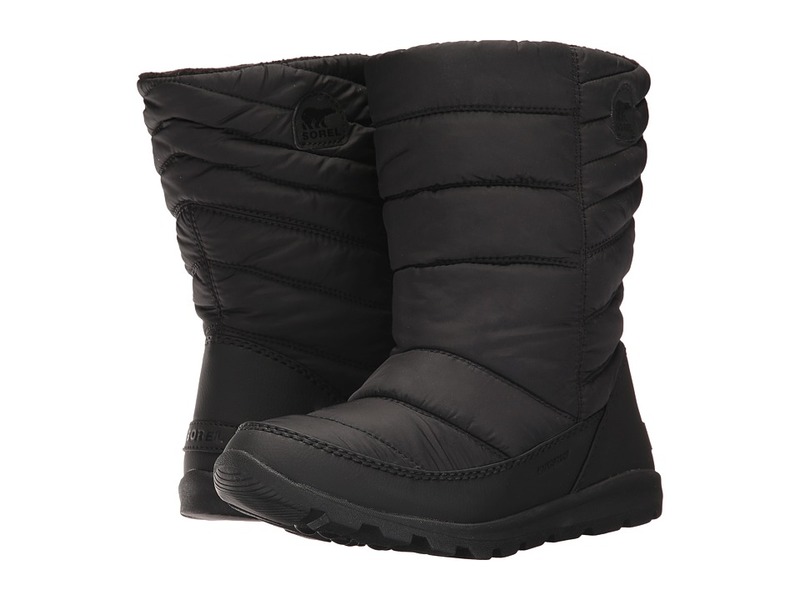 Features 200g insulation for a warm and comfortable foot environment. Removable molded PU footbed with a comfortable microfleece topcover for added cushioning. Durable rubber midsole provides added support and shock-absorption. Molded rubber outsole. Temperature rated: -25&amp#176F / -32&amp#176C. Imported. Measurements: Heel Height: 1 in Weight: 10 oz Circumference: 14 in Shaft: 7 in Platform Height: 1 2 in Product measurements were taken using size 8 Toddler, width M. Please note that measurements may vary by size. Weight of footwear is based on a single item, not a pair. 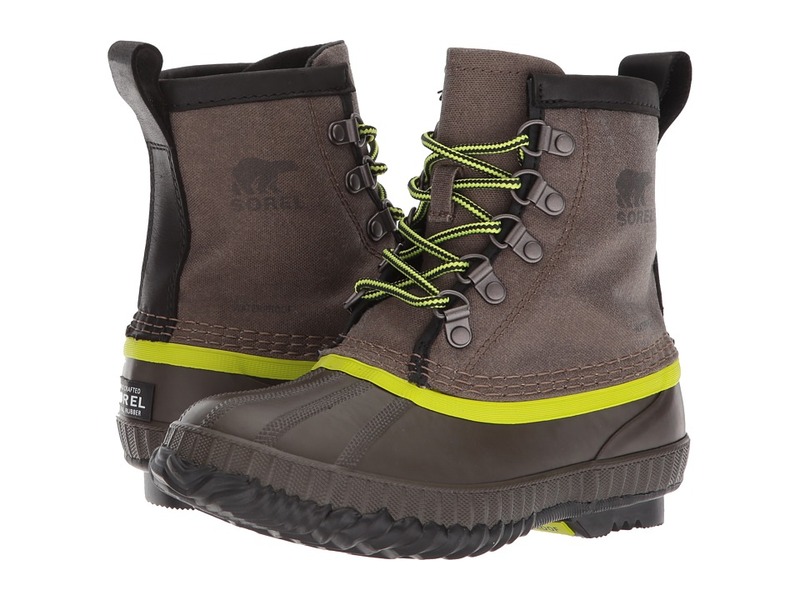 She will charge through every winter day in the cozy comfort of the Sorel Kids Tivoli III boots! Waterproof suede leather and textile upper. Traditional lacing with D-ring hardware for a secure fit. Features both 100g insulation and microfleece lining to keep the cold out in the most frigid temperatures. Waterproof breathable membrane construction keeps out the wet elements. Removable EVA footbed provides cushioning, warmth, and support for all-day comfort. Rubber midsole offers added comfortable support. 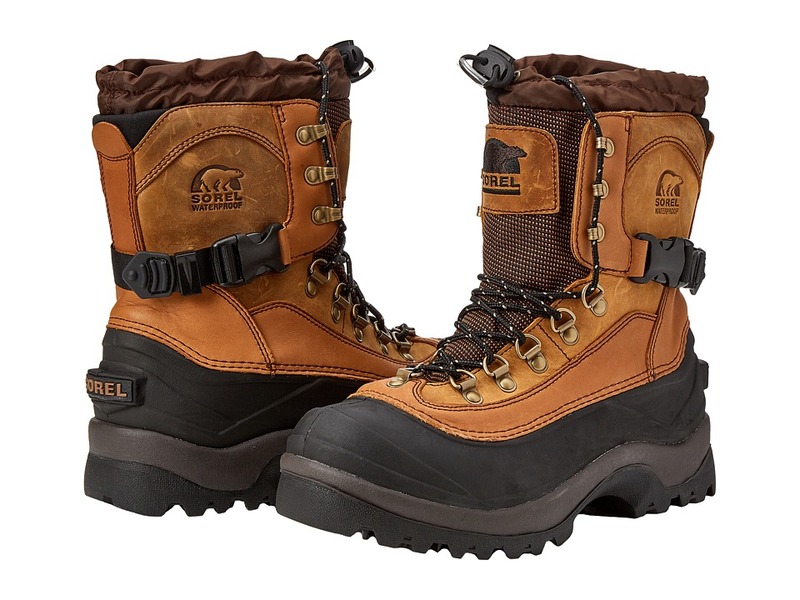 Molded rubber outsole, inspired by the classic 1964 Pac boot, gives excellent traction that you need in the slick terrain. Imported. Measurements: Heel Height: 2 in Weight: 8 oz Circumference: 14 in Shaft: 7 in Product measurements were taken using size 8 Toddler, width M. Please note that measurements may vary by size. Weight of footwear is based on a single item, not a pair. 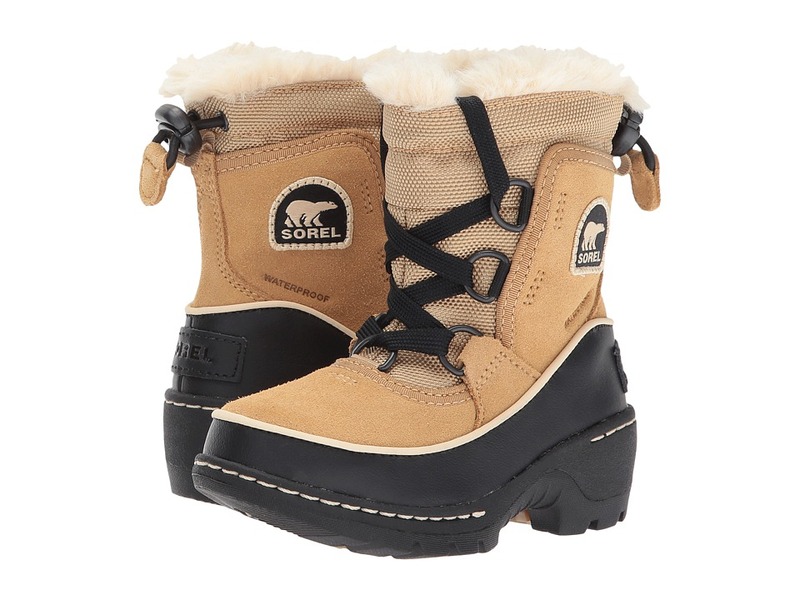 She will charge through every winter day in the cozy comfort of the Sorel Kids Tivoli III boots! Waterproof suede leather and textile upper. Traditional lacing with D-ring hardware for a secure fit. Features both 100g insulation and microfleece lining to keep the cold out in the most frigid temperatures. Waterproof breathable membrane construction keeps out the wet elements. Removable EVA footbed provides cushioning, warmth, and support for all-day comfort. Rubber midsole offers added comfortable support. Molded rubber outsole, inspired by the classic 1964 Pac boot, gives excellent traction that you need in the slick terrain. Imported. Measurements: Heel Height: 2 in Weight: 1 lb 2 oz Circumference: 14 in Shaft: 7 in Product measurements were taken using size 8 Toddler, width M. Please note that measurements may vary by size. Weight of footwear is based on a single item, not a pair. Seam-sealed, waterproof nubuck and suede leather. Built-in gaiter with barrel lock closure. Achilles adjustment strap. 400g Thinsulate Ultra insulation. Removable 9mm EVA comfort footbed. EVA midsole inserts. Injection molded, waterproof thermal rubber shell. Rubber multi-directional lug outsole. Sorel Rated: -40&amp#176F / -40&amp#176C (yup, those temp conversions are correct.) Imported. Weight of footwear is based on a single item, not a pair.